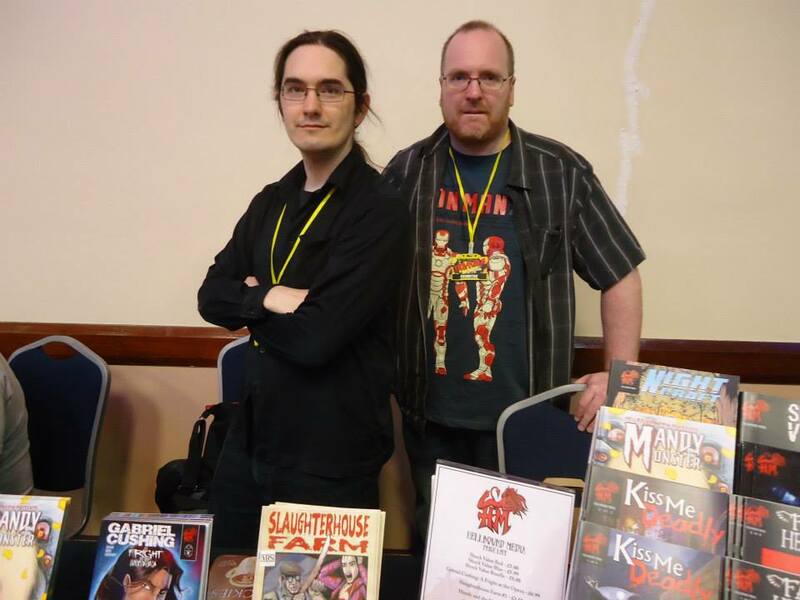 Melksham Comic Con was one of the convention highlights of the year for Hellbound Media. The event is a great mix of comic con and family day out, with lots of local con firstimers attended with their families mingling with the comic fans and cosplayers and the event is all the better for it. We didn’t get to the panels but heard good things and we chatted to plenty of interested people about our comics. We might even have found a new artist or two. The team of Brians, eager men, women, Sith and others, were amazing and helped us from the moment we pulled up to the venue through helping us to pack up the car to chatting in the pub post con. It’s great news that Melksham will be two days next year and it will be one of the first events we add to the Hellbound calendar in 2014.